What looks like bribery? Well, read this story from the radically leftist New York Times, of all places. It should be the end of Hillary’s campaign. […]The path to a Russian acquisition of American uranium deposits began in 2005 in Kazakhstan, where the Canadian mining financier Frank Giustra orchestrated his first big uranium deal, with Mr. Clinton at his side. […][T]he company’s story was hardly front-page news in the United States — until early 2008, in the midst of Mrs. Clinton’s failed presidential campaign, when The Times published an article revealing the 2005 trip’s link to Mr. Giustra’s Kazakhstan mining deal. It also reported that several months later, Mr. Giustra had donated $31.3 million to Mr. Clinton’s foundation. […][T]he ultimate authority to approve or reject the Russian acquisition rested with the cabinet officials on the foreign investment committee, including Mrs. Clinton — whose husband was collecting millions of dollars in donations from people associated with Uranium One. Romney, in his interview with Hugh Hewitt, explained that because Bill and Hillary are married, their assets are co-mingled. So what’s the problem with this deal? It’s a national security issue. We shouldn’t be selling uranium companies to countries like Russia who not only invade their neighbors, but also sell long-range missiles to Iran – and a host of other nasty things, too. This country is not friendly to us. That’s some vast right-wing conspiracy that makes its way onto the nation’s most respected leftist national newspaper. That’s the only “reason” that people will vote for her, because on the merits, she’s a stinker. 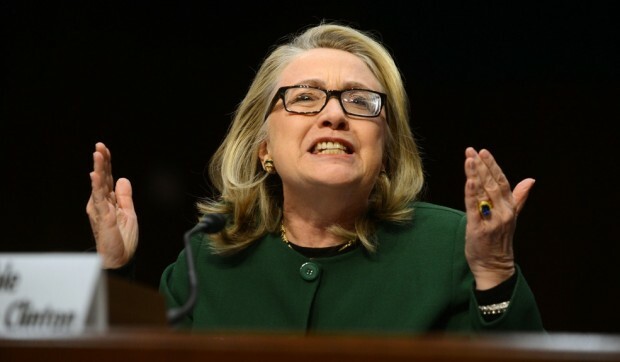 What are Hillary Clinton’s views on amnesty and illegal immigration? Could Hillary Clinton be sent to prison because of her secret e-mail server? I thought Hillary Clinton’s character was assessed fairly well by her boss on the House Judiciary Committee during the Watergate investigation.